Shelby Williams as her alter ego, Biscuit Ballerina. Photo by Nicha Rodbon, Courtesy Williams. Last fall, Instagram's dance community blew up when an account titled Biscuit Ballerina started posting videos of an anonymous dancer doing laughably bad ballet. With a look of fierce determination, she would awkwardly make her way through well-known variations, stumbling over her pointe shoes. Comments ranged from hilarity to criticism to confusion: Who was this dancer? The answer is Shelby Williams, a soloist with Royal Ballet of Flanders. Growing up in Baton Rouge, Louisiana, Williams didn't become serious about ballet until age 11. At 15 she left home to train year-round at The Washington School of Ballet, and a year later transferred to the Houston Ballet Academy, where she quickly entered Houston Ballet II. As a student, Williams often felt crippled by self-criticism. "I was doing something I was passionate about every day, but I hated it," she says. Eventually she went to a sports psychologist who helped her learn how to enjoy the process and not take herself too seriously. After class, instead of feeling ashamed by the mistakes she'd made, Williams started to overexaggerate what she'd done, making herself and her classmates laugh. Shelby Williams. Photo by Kensilav Kanev/De-Da Productions, Courtesy Williams. Shelby Williams as herself. Photo by Kensilav Kanev/De-Da Productions, Courtesy Williams. Williams as Biscuit. Photo by Nicha Rodboon, Courtesy Williams. Now that she’s joined the company, in stereotypical Dutch fashion, her day starts with a 10-minute bike ride to the studio. It’s a quieter lifestyle than what Jacoby was used to in New York. (She sees her husband, who’s still living there, every few weeks.) Her schedule mostly revolves around rehearsing, performing and keeping her body in shape—sometimes with twice-daily visits to the company’s physical therapist, a new luxury. Swans, pluck those feathers! Wilis, stow those veils! Dancers everywhere, update those personal websites! Embrace every challenge the dance world throws your way and look for a few more—your future may depend on it. 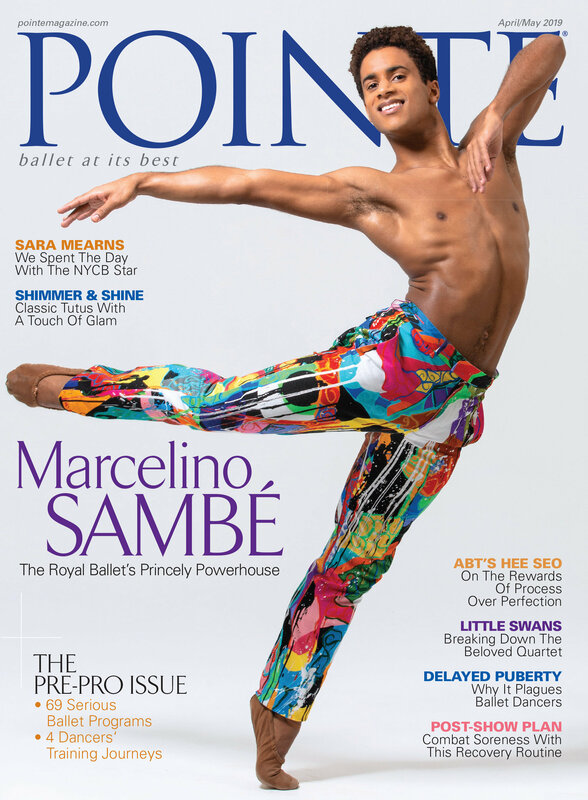 Such is the consensus of the distinguished array of dancers, company directors and teachers Pointe asked about the prospects for the ballerina in today’s highly competitive and information-saturated dance world. How is the pathway to success different from what it was a generation ago? What does it take to be a ballerina in the 21st century? First, let’s define our terms. Nobody does that better than Ontario-born Karen Kain, who joined The National Ballet of Canada in 1969, rapidly advanced to principal dancer, retired from the stage with laurels in 1997, and eight years later, became NBC’s artistic director. In some respects, Kain might be describing New York City Ballet’s much lauded principal Wendy Whelan, who, in her 25 years with the company, has gradually augmented her core Balanchine/Robbins repertoire. 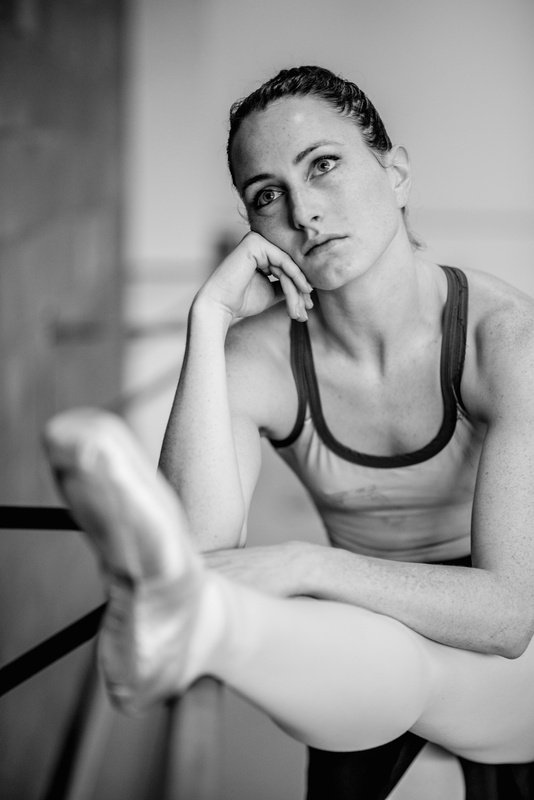 Her prescription for ballerina stardom? “I think today that you’ve got to be open to all the languages thrown at you by newer choreographers,” says Whelan. Her resumé now includes dances by Forsythe, Ratmansky, Dove, Tharp and Wheeldon. “Their work isn’t necessarily ballet-based, but they want you to come up with a new way of doing a modern step in pointe shoes. We don’t even have a word for these steps; because they’re not in a book, you must do the exploring. Diversity is also the key to the success of the Kirov Ballet’s bewitching Diana Vishneva. Few ballerinas have evolved from their training as much as this illustrious graduate of the Vaganova Academy in St. Petersburg. “Of course, Vaganova was great,” Vishneva says. “But the Western school has been more important in forming my career. I wouldn’t be where I am now without it. Still, I will never forget my roots in Russia.” Which may explain why she dispatches Kitri with the same flair with which she delivers Balanchine’s “Rubies” or a creation by Momix artistic director Moses Pendleton. Vishneva is a child of the electronic age. She maintains a website (www.dianavishneva.ru) and operates a chat room in which she “always” responds to her admirers’ questions. You can catch many of Vishneva’s performances online and she notes that they inspire fans to buy tickets for her theatrical appearances. Drew Jacoby’s history differs significantly from Vishneva’s. Her elongated line and charisma first attracted attention in Alonzo King’s LINES Ballet. 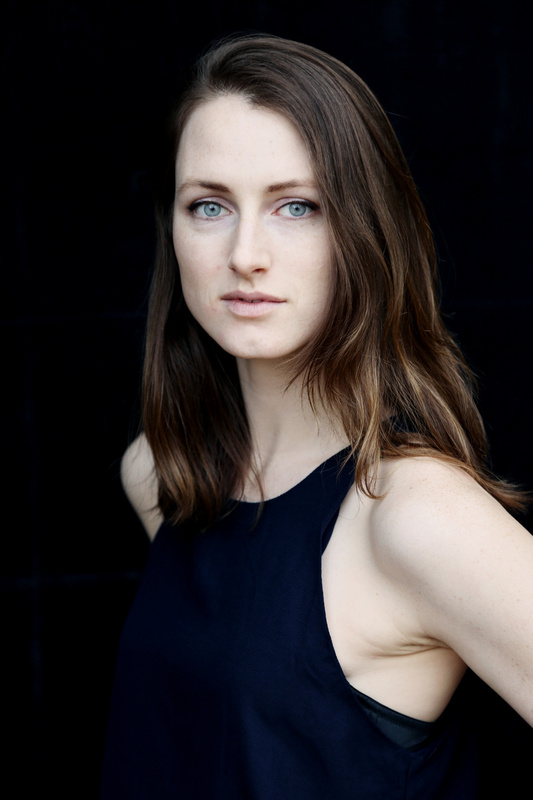 She now dances with Morphoses/The Wheeldon Company, and is currently guesting with the Dutch National Ballet. She offers some refreshing insights on the contemporary ballerina. Veteran teacher David Howard takes a different view, finding the studied eclecticism of most repertoires and the anonymity of technically superior dancing are factors hindering distinction. He can’t resist reminiscing about his era at The Royal Ballet, when giants like Margot Fonteyn bouréed across the boards. He recalls the Bolshoi’s brilliant, rebellious Maya Plisetskaya, who fought against the conventions of the Soviet system. He cites France’s unclassifiable and uncompromising Sylvie Guillem. He charges artistic directors with finding their heirs. “We will have ballerinas if dancers like this come along and companies notice them,” says Howard. “Because they’re a headache, companies don’t promote them, but they should. A great and distinctive ballerina like Maya Plisetskaya had a different kind of energy; she would be fired today. Allan Ulrich is chief critic for voiceofdance.com, and contributes to a variety of American and international publications. Networking—the cultivation of relationships to help advance one’s career—is practiced in nearly every profession, ballet included. In fact, some dancers argue that it’s almost as valuable as talent in generating new opportunities. Increasing your connections and exposure within the dance community can help you land a job, switch companies or transition to a new career, to name just a few benefits. Take freelance dancer Drew Jacoby. She arrived in New York City two years ago with few contacts but plenty of ambition. When she learned that choreographer Christopher Wheeldon was founding Morphoses/The Wheeldon Company, she e-mailed him a resumé and a link to her website. Although Wheeldon had never met her, he was impressed enough with what he saw to invite her to take class with him. Afterwards, he offered encouraging words about Jacoby’s prospects for dancing with his company. Not all dancers are comfortable with networking, however. Accustomed to letting their talent speak for itself, they feel awkward promoting themselves. If the prospect seems daunting, focus on the potential payoff. When you’re just launching your career, nurture the contacts you’ve made as a student—your teachers, for example, and older students who’ve graduated to professional careers. Ask to meet outside of class to talk about your goals. Be up front: Let them know the type of opportunity you’re seeking. Remember, they have their own network of associates they can contact on your behalf. Don’t be timid about creating new contacts. Chat with other dancers you meet at open classes—they might be able to recommend you for an opportunity at their company. Introduce yourself to the choreographer after a master class or workshop to let him or her know you enjoy their work. “I expect dancers to keep in touch—and if this is somewhere they want to be, they will,” says Dwight Rhoden, co-artistic director of Complexions Contemporary Ballet. When Rhoden needed to fill three spots this season due to injury, he called three dancers who’d steadily maintained contact with him. Klanac’s attitude is that all of the contacts she makes—even those not directly tied to dance—could help her in some way. As proof, she points to a member of her company’s board who got her an appointment with a prominent physician when she suffered a back injury. A former newspaper reporter, Nicole Peradotto is a longtime arts writer who lives in upstate New York.